We’ve seen camouflaged prototypes of the all-new BMW X5 M (F95) on several occasions, but this is the first time we get to look at the high-performance SUV completely undisguised. 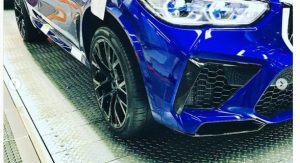 The first photos of the next-generation X5 M come courtesy of Instagram user wilcoblock, who posted exterior and interior images of a blue model that appears to have been photographed in BMW’s assembly line. 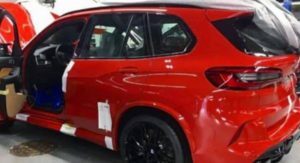 The photos were later picked up by Bimmer Post, which also got hold of images of two other red and grey X5 M SUVs as well as a single shot of the X6 M (F96) wearing a darker grey paint. As expected, the X5 M and X6 M look all muscled up compared to their lesser variants — though it’s worth noting the regular versions of the all-new X6 hasn’t even been revealed by BMW. 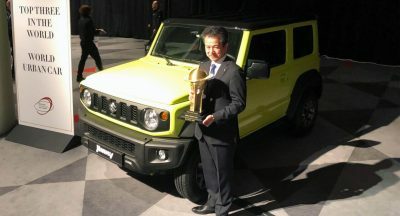 Design highlights include beefier bumpers with massive air intakes at the front and a huge diffuser at the rear, black alloys and trim (including the badging), and quad exhausts. As for the interior, the X5 M gets the usual assortment of BMW M goodies including an Alcantara steering wheel, carbon fiber trim and sports seats. 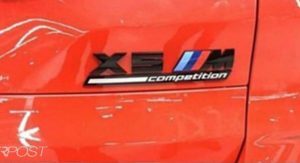 As the badging can attest, both the X5 M and X6 M that appear in the photos are the range-topping Competition versions. 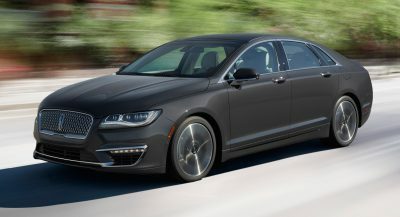 Both models are expected to feature the F90 M5’s 592 hp (600 PS) S63 4.4-liter twin-turbo V8 engine as well as the same eight-speed automatic transmission and M xDrive AWD system — without the M5’s 2WD mode, though. 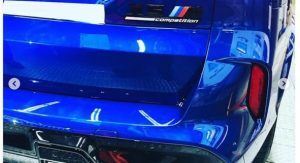 As for the X5 M Competition and X6 M Competition versions, they should get the same amount of power as the M5 Competition, that is 617 hp (625 PS). Regardless of the model and version chosen, the 0 to 100 km/h (0-62 mph) sprint should take under 4 seconds. 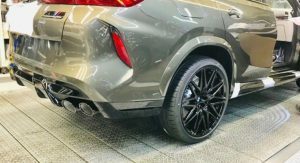 To cope with the massive power and curb weight of well over two tonnes, the X5 M and X6 M will feature uprated braking systems, including optional M carbon ceramic discs. 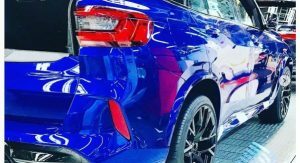 BMW will commence production of the all-new BMW X5 M later this year in the United States, with the high-performance SUV to debut as a 2020 model, while the X6 M will likely arrive later on. 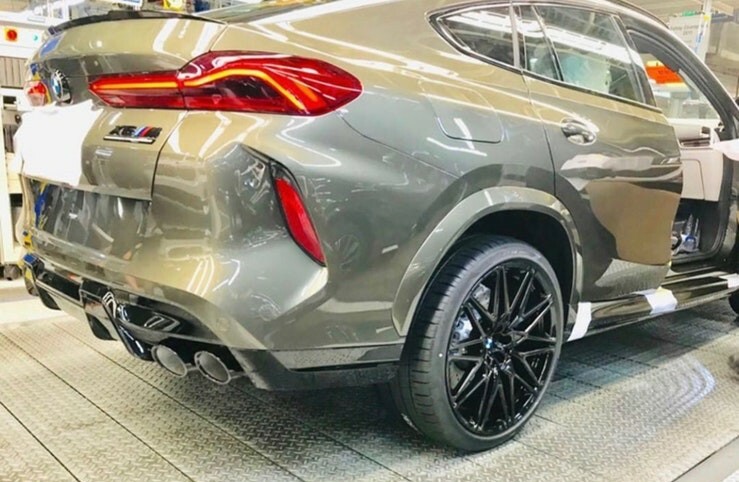 The back of that x6 – SOMEONE DID AN SUV COUPE RIGHT!!!!!!!!! 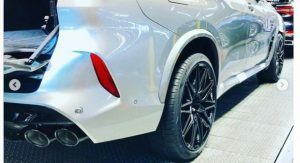 Someone bumped into the X6 M clay mock-up and ,the final cast was set before anyone realized it. 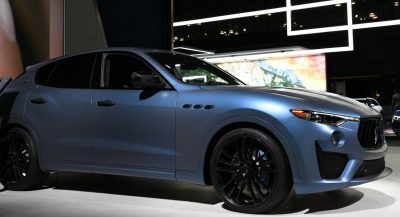 From the inventor of the SUV-Coupé to designing the worst SUV-Coupé back. Can’t believe the new X6 back will look like a blown up 8 series Coupé back. Sorry BMW but Audi did its own way with the Q8 (well done), Porsche just did a fine job with the Cayenne Coupé and the new GLE Coupé has yet to be revealed but don’t expect any X6-like surprises. Those rear reflectors look so gauche. The X5 is not a bmw for me, it’s more a Kia. This X6 is awful. Who will buy this? Not me. The Porsche Cayenne Turbo Coupé will do for me.. 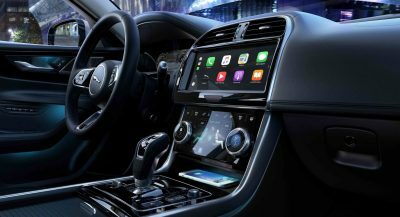 Looking at the detailing (and some other recent BMW designs – I look at you, X7), I always ask myself if anyone has ever taken a step back, looked at the vehicles as a whole and thought, yeah, that#s a great look, that’s the best we can do…. 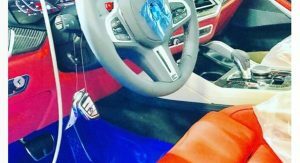 Previous PostPrevious Tesla Model 3 Performance Good Enough To Wow The Europeans As Well?